For 85 years since foundation of our group in 1932, as a pioneer of replica foods, we have consistently supported the sales promotional activities of restaurants. We are confident that expressiveness of “deliciousness” developed in our history not only provides the values of sales promotional effects but also have added values such as “surprise” and “fun”. 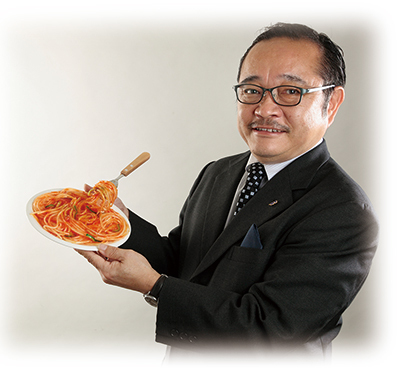 Then, in 2011, in order to provide general consumers with magical attraction that these replica foods have, we have launched the new brand “Ganso Shokuhin Sample-ya” as manufacturing and retail industry. Thankfully, this year celebrates our 7th anniversary. During that period, our products and handwork experience of replica foods as the center of this new brand continue to receive a high evaluation. For the future, with the slogan, “Surprise and Inspiration through Replica Foods”, it is our sincere desire to devote ourselves, always maintaining a challenging spirit, to keep Ganso Shokuhin Sample-ya as a brand loved by all forever. We look forward to your continuous and kind support.